Direct sales will be used to open new markets and start the initial sales. Our products are used by Project Developers, who sell turnkey projects in localised markets. Icarus is a new business in the waste recycling and recovery sector. Utilising synthetic fuels (oil, gas), Icarus will expand its services to offer combined heat and power based on Aurelia's turbine products. Our primary channels in a region, fully committed to selling and servicing Aurelia products. Smart Energy is a distributor of energy solutions to vast applications of both industrial and residential sectors. Its mission is to deliver new high-tech distributed electrical generation solutions in turnkey projects that bring high efficiency to the customers. Smart Energy, headquartered in Saint Petersburg, designs, supplies, installs and maintains autonomous systems for generating electricity and heat based on gas turbines. Aurelia Turbines Mexico, SAPI de CV is a new company in Mexico City. The company will bring advanced technology to the growing cogeneration and biogas market in North America. 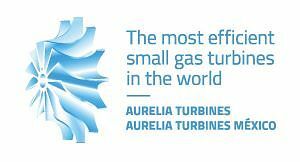 Aurelia Turbines Mexico has dedicated to the deployment of Aurelia’s technology in both combined heat and power and baseload applications. Kolar Husky is an experienced and leading energy solutions company. Kolar Husky works with various fuels, including biogas, to deliver combined heat and power systems and heat recovery energy projects. Kolar Husky is a full engineering service company as well as a turnkey solutions provider in the field of electrical generation and distributed generation products throughout China and the region. Marketing Partners are our representatives in new markets and applications who will be the first contact in those sectors. Greenray Turbines Solutions provide servicing solutions to the industrial gas turbine and steam turbine market sectors. Greenray Turbine Solutions has specialised experience of maintaining gas turbines and rotating equipment for all oil & gas and power generation industry operators. Hennlich s.r.o. sells a wide range of industrial components in Eastern and Central Europe through a network of its own branches, and also has its own production plants at individual locations. Invest in Africa Services (IIAS) is a wholly owned subsidiary of the HAH Group. The company leverages the skills extensive industry knowledge and networks to be a significant value add partner to its Projects and Clients. IIAS offers holistic solutions and services to projects and clients within the power and industrial sector as a designer, manufacturer, builder and installer of industrial and commercial hydrogen generation as well as an engineer and manufacturer of gas and liquid process solutions. IIAS also offer advanced hydrogen solutions for energy storage and power generation. MJB International (MJBI) is one of the largest independent total service providers to owners and operators of industrial gas turbines worldwide. With more than four decades of experience in supporting gas turbine packages in the Energy, Industrial and O&G sectors, MJBI is dedicated to providing end users with a comprehensive range of products, services and innovative solutions that add value to their operations. FECO Material Technology Company, Energy Division, is an experienced and leading energy solutions company in the field of energy projects and/or a turnkey solution provider in the field of electrical generation and distributed generation products including renewable energy in Taiwan.